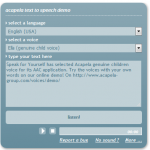 Acapela Group » AAC: Speak For Yourself selects Acapela genuine children voices for its young users! 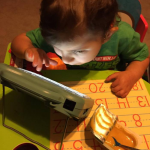 AAC: Speak For Yourself selects Acapela genuine children voices for its young users! AAC specialist Speak for Yourself adds Acapela children voices to its voice portfolio. The AAC application, that turns the iPad into a communication device to give a voice to individuals who are not able to speak or are limited in their ability to express themselves verbally, has just enriched its voice offer with Acapela children voices. at the ASHA (American Speech, Language, and Hearing Association) Conference, at booth 731. The Speak for Yourself application is being used by thousands of individuals around the world with autism, cerebral palsy, apraxia, and genetic syndromes. It is also being used in preschool classrooms to promote word-finding, visual language support, and verbal speech development. Young users will now have the possibility to use the application together with a voice that sounds their age rather than an adult voice! The cheerful gang of Acapela children genuine voices that already give the say to young users around the world is available in Australian, UK & US English, bilingual US English/North American Spanish and German, with new languages to come. They have been recorded by and for children. Boy or girl: up to the user to choose to express its thoughts, needs and desire with a voice that sounds its age. 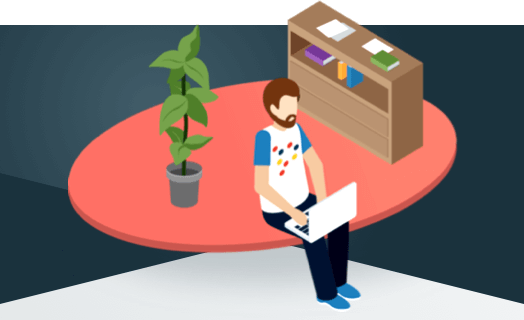 ‘Speak for Yourself has the capability to begin with one word, but contains almost 11,000 Smarty Symbols® and allows the user the potential to access 14,000 words, with no more than two touches to say a word. Complex page navigation and scanning are eliminated to allow fast, consistent access to language! Children voices from Acapela will bring an additional layer of naturalness and spontaneity to the vocal interface and reinforce the communication process for children and the people around them by giving them a more authentic, age-appropriate voice!’ says Heidi LoStracco, who, along with Renee Collender, owns and created Speak for Yourself. ‘We are very happy to become part of Speak For Yourself offer. The children voices are a milestone in the industry. With over 2,500 hours of research, recording, processing and development, the genuine children’s voices are now helping kids around the world communicate with a voice that sounds their age and at Acapela we are all very proud of that” says Lars-Erik Larsson, CEO of Acapela Group. ‘Braxton WANTS to talk, he WANTS to communicate with us. The words are there, he just can’t get them out…yet. Speak for Yourself is now giving him a way to get the words out! He is able to communicate and tell us what he wants. The sheer pride on his face when he hears what he wants is priceless. He has finally found his voice! I can’t wait to hear all of the things that have been going on in that sweet little head of his.’ say Braxton’s parents Vanessa and Joseph . 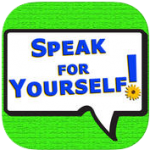 The voices are available as in-app purchase in the Speak For Yourself application. Try it out with your own words. Type in your text or dialogue and hear how it sounds like with world’s first genuine, natural-sounding children’s voices. A world premiere that is changing the life of young users allowing them to verbally communicate with voices that resemble their own.